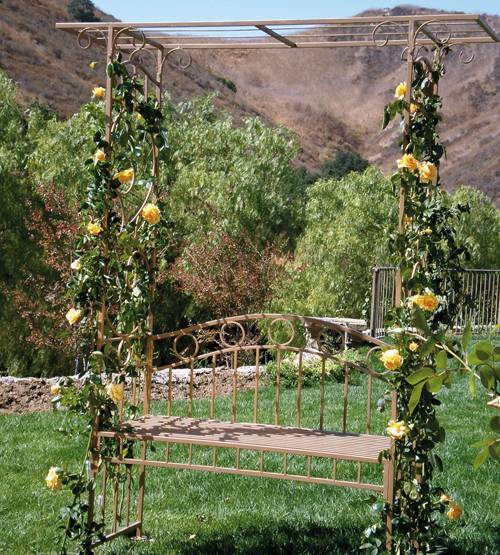 Beautiful garden arches with benches add gorgeous decorations to garden design and create comfortable outdoor seating areas that enhance yard landscaping ideas with romantic atmosphere. 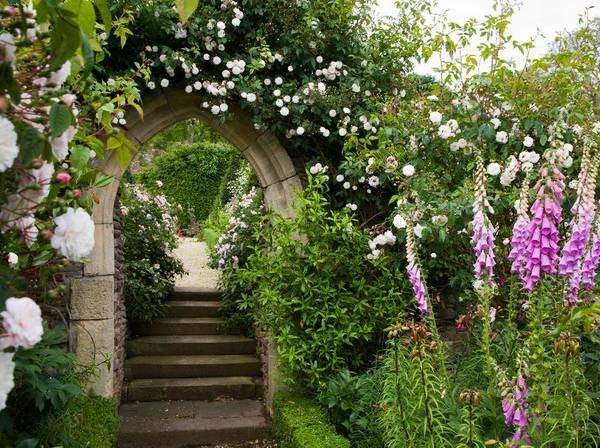 Lushome shares beautiful garden design ideas and arched structures that look charming with climbing flowers and trailing plants. 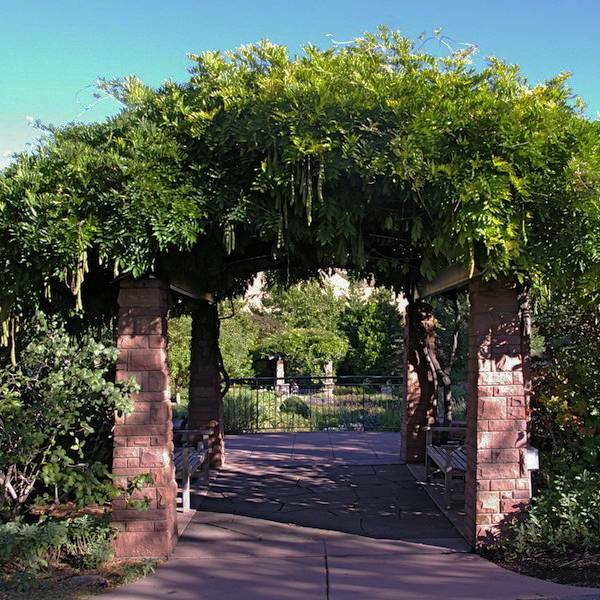 An archway in a garden or park is a beautiful structure consisting of a framework covered with trained climbing or trailing plants. 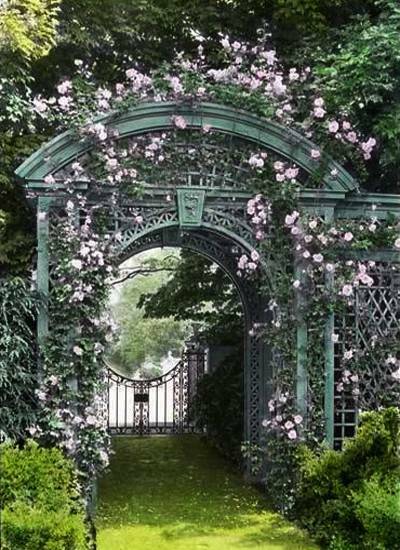 Archways, pergolas and arbors, decorated with flowering plants, create striking centerpieces for garden design and yard landscaping. Garden arbors can be used for much more than support for your flowering plants. Garden design and yard landscaping with arbors look more interesting, attractive and creative. 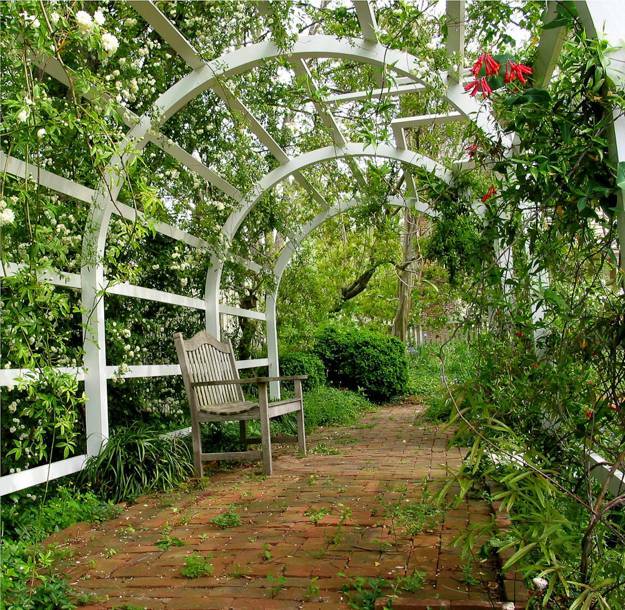 Garden arches, pergolas, sun shades and gazebos add dimension to yard landscaping. 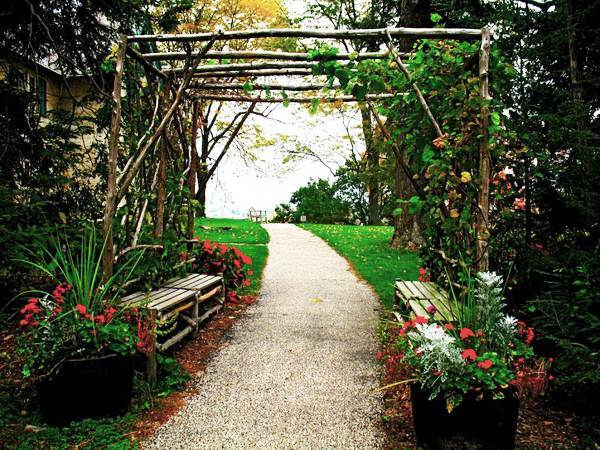 Beautiful garden arches with benches bring comfort and chic into outdoor living spaces. 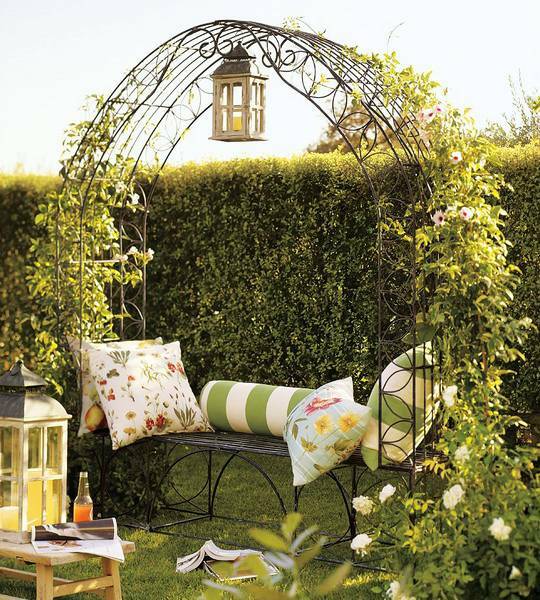 An arch create a perfect backdrop for pictures or a quiet place to shade a garden bench to sit on and relax while enjoying your yard landscaping. Great for hot summer days and colorful days in fall, these garden structures are welcoming and very attractive. 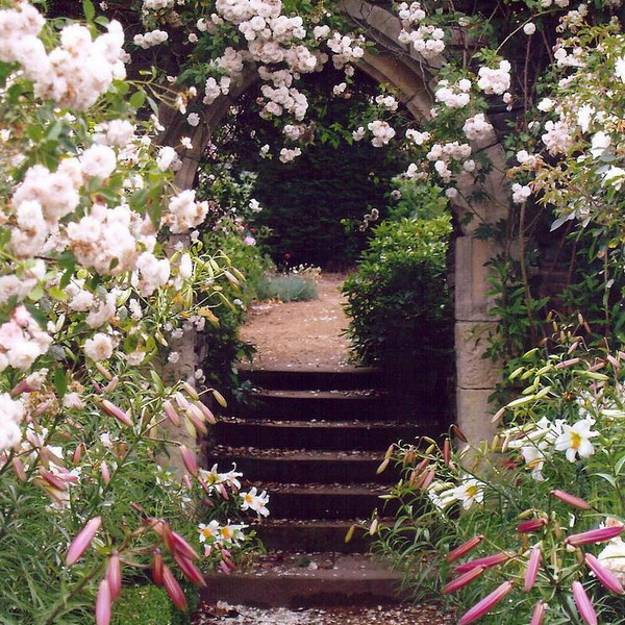 Many flowering plants can be used for decorating garden arches, pergolas and gazebo designs. 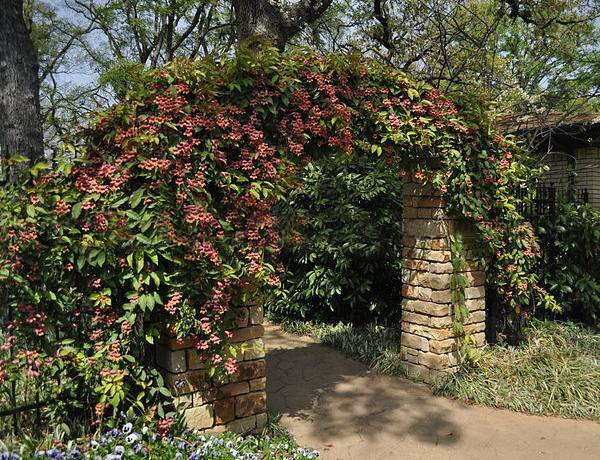 The most common climbing plants seen on arbors are ivy, jasmine, roses or climbing hydrangea. Flowering plants, like honeysuckle or wisteria, add seducing fragrance garden design and enhance pleasant yard landscaping. Climbing roses bring fabulous flowers and enrich garden design with bright colors, aroma and unique shapes. 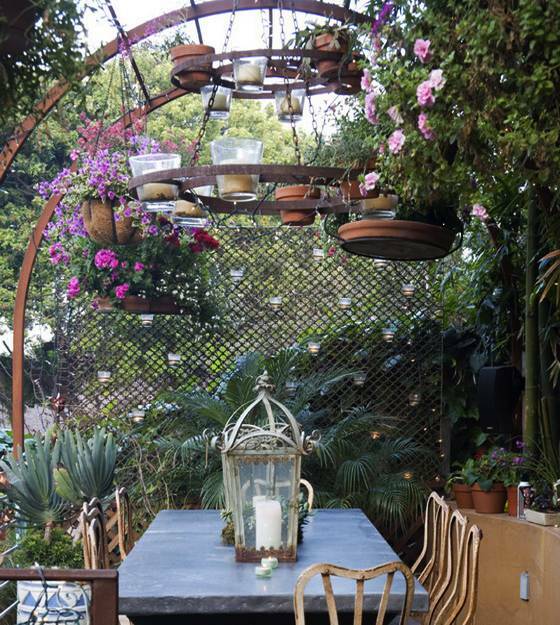 It is possible to train them to grow on the garden arbor and beautify your outdoor seating area. Stone, brick, wood and metal are traditional materials for building garden arbors. 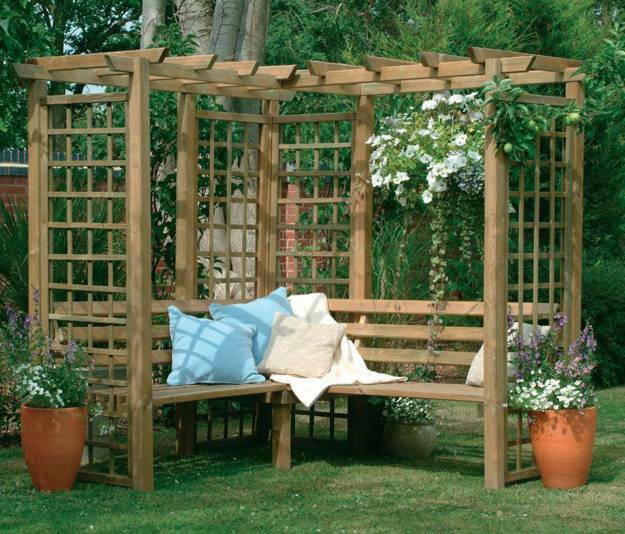 Wooden and metal arches are the most popular choices for decorating gardens and backyards. Metal and stone arches are strong, durable and very attractive also. Brick and stone garden decorations look beautiful for years, bringing that wonderful and unique vintage style charm into garden design and yard landscaping. 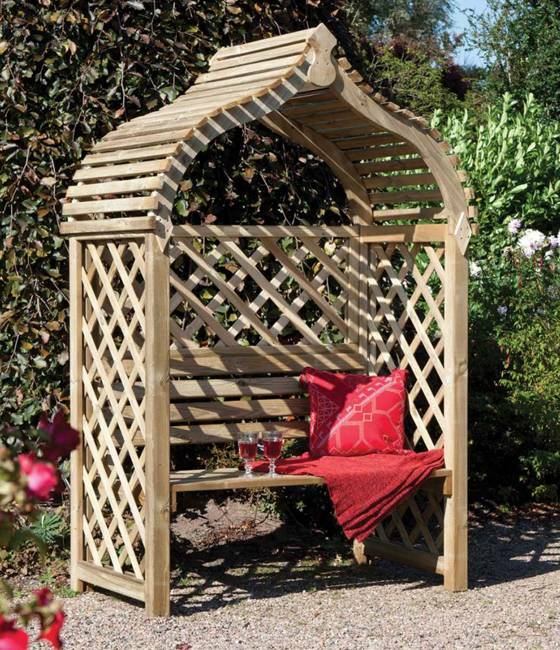 Using pressure treated wood makes garden arches last longer and look attractive. This type of wood is rot and insect resistant. 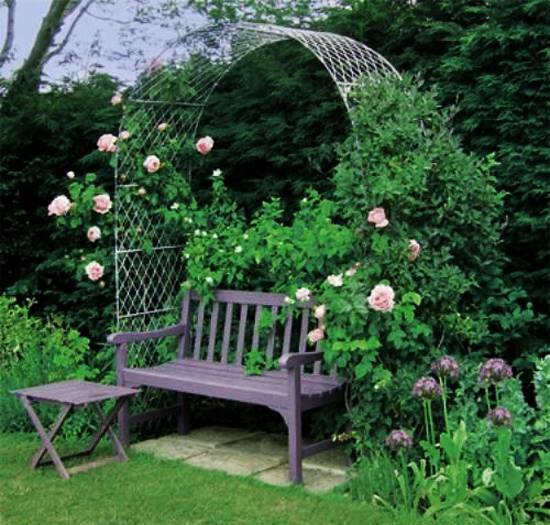 Premixed cement for stabilizing posts and galvanized screws allow to create complex and simple garden arches with benches that provide great support for climbing flowering plants and look beautiful in gardens. 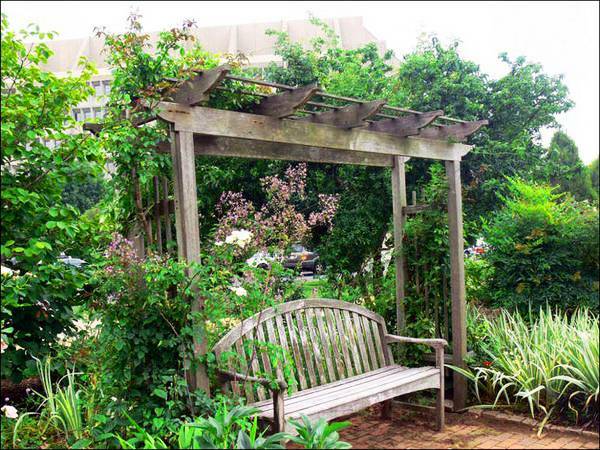 Metal or wooden arbors with wooden benches are fabulous additions to yard landscaping. 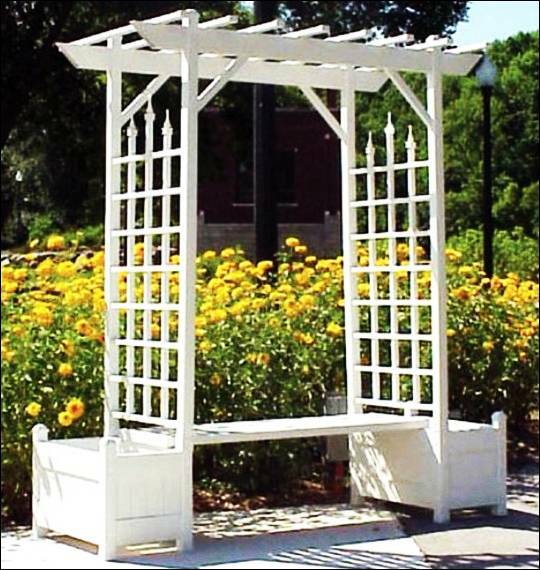 DIY arbor building projects create beautiful outdoor seating areas while save money on yard landscaping.